The Nest Video Doorbell has a number of features that are neat on their own, but also work well in conjunction with other Nest products. For reference I have a few Nest IQ cameras. An indoor camera and an outdoor camera. Both of them are pretty sweet. The indoor camera has the Google Assistant built in. They are both 4K cameras although the outdoor camera records in 1080p - it uses the 4K sensor to zoom. When they work together they can identify people - including people who are regulars around the house so that you don't get notifications just for people who you expect to come and go. I subscribe to the Nest Aware service for all 4 cameras in my house. This is pretty cool. I find Google's facial recognition to be pretty impressive. As part of getting the Nest Hello Video doorbell I also got a few Google Home Mini that I set up. The cool thing about the nest Video Doorbell is that you get announcements of visitors. You can also have the Nest speak commands to someone at the door as you can see below. Installation was not very hard. If you already have a Ring doorbell there is nothing new or different that you need to do. I'm very happy with this product. 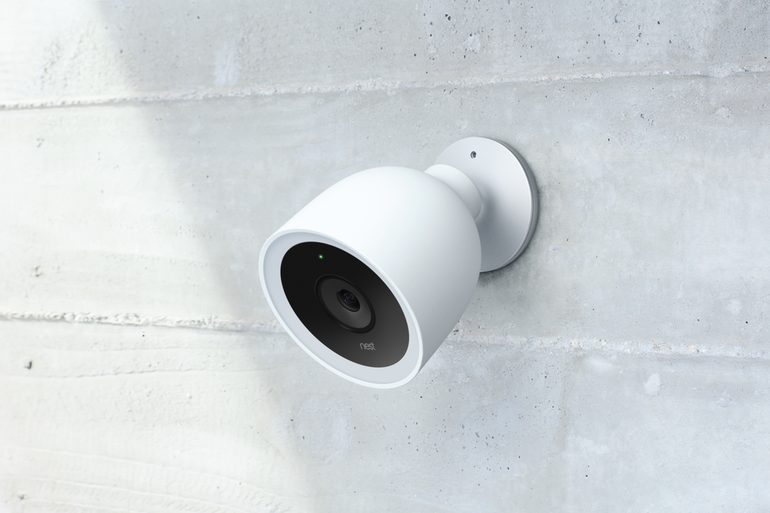 The picture quality is really great, and it integrates vey well into the Nest ecosystem.